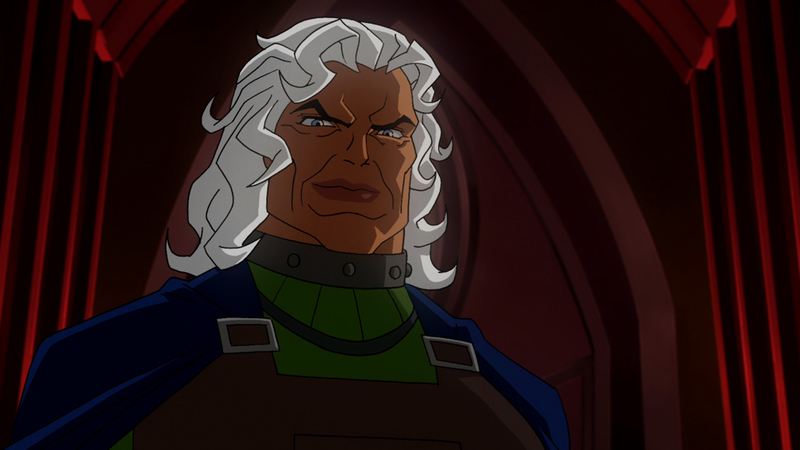 I don’t always run the interviews Warner Home Video sends out to promote their original DC animated movies, but I’m posting this one because I happen to think that Ed Asner as Granny Goodness is the most genius piece of voice casting ever. He originally played her in four episodes of Superman: The Animated Series and two episodes of the various incarnations of the Justice League cartoon. He’ll be continuing the role, described as “the primary henchwoman for the evil lord Darkseid, ruler of the distant planet Apokolips”, in Superman/Batman: Apocalypse, due out September 28. I also like this writeup for pointing out how much Asner has done in animation and how recognized his career has been. What follows was provided by Warner Home Video. Asner’s storied career boasts seven Emmy Awards — three supporting actor honors for his role as Lou Grant on The Mary Tyler Moore Show, two more as the title character in Lou Grant, and a pair of awards recognizing individual supporting performances in the landmark miniseries Roots and Rich Man, Poor Man. He has won more acting Emmys than any other performer and is the only actor to ever win Emmy Awards for playing the same character in both a comedy and a drama. The five-time Golden Globe winner also served as President of the Screen Actors Guild from 1981-1985. 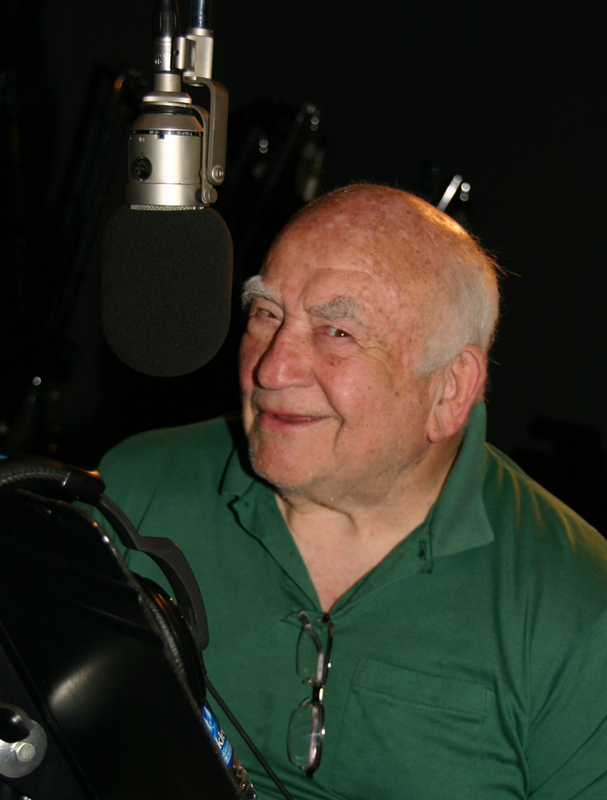 Live-action accolades aside, Asner has been ever-present in animation for nearly 25 years, running the gamut from guest spots on shows like Animaniacs, The Simpsons, Family Guy, Johnny Bravo, King of the Hill, The Boondocks, and Hercules (to name but a few) to regular roles in Gargoyles, Freakazoid, Batman: The Animated Series, Spider-Man, and Captain Planet and the Planeteers. He also voiced the role of Santa Claus in the animated television special Olive the Other Reindeer. (He’s played Santa Claus for four different film/TV productions.) Asner’s stirring, funny, wonderful portrayal of Carl Fredrickson in Disney/Pixar’s Up had critics wondering why the Academy of Motion Picture Arts & Sciences had yet to add a voice acting category to the Academy Awards slate. 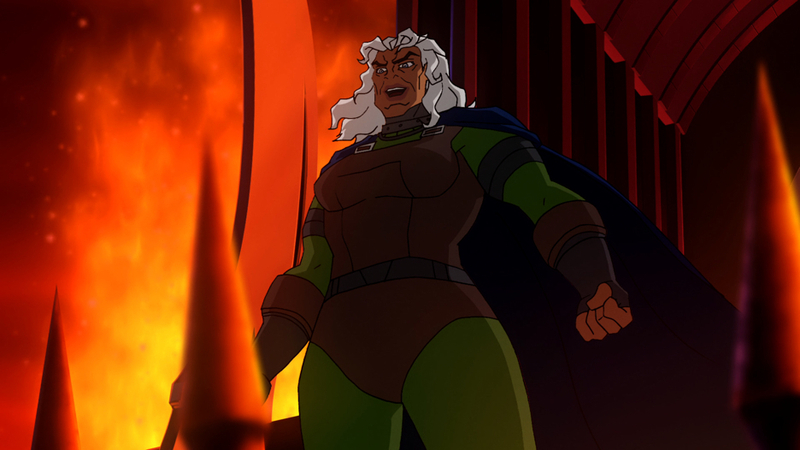 QUESTION: How does Granny Goodness compare to playing other female characters? ED ASNER: I don’t think I have played any other female characters before (he laughs). But if I did, she’d have more balls than any of them. It’s become the fashion lately — there’s Brian Bedford in Stratford doing Lady Bracknell in Oscar Wilde’s play. What hasn’t been done enough is women playing men in as butch a manner as possible. That’s got to be even more fun. I’m talking somebody like Marjorie Main pulling it off. QUESTION: What do you use as a focal point while voicing Granny? ED ASNER: I’m thinking she’s a lot of chest, a lot of high pressure steam, and that she’s probably got a constant focus on vengeance and wreaking havoc on whoever she can. And I want to get away with as much damage as I can in as high-flown and effeminate form as possible. QUESTION: You’ve done it all and had long-lasting success in the entertainment industry. What’s the enticement of voice acting for you? ED ASNER: It’s always a trip a joyful trip to come into the studio, and especially working with this group. Andrea (Romano) is a delight to work with, and Bruce (Timm) knows this genre better than anybody. Plus, it’s the ability to let your imagination take flight -– to take chances, to plunge and to soar. That’s something you don’t get to do as an actor. You get to do it as a kid. So I grab the opportunity as often as I can. QUESTION: With all the animation work you’ve done, and the huge success of Up, can we assume you see animated films and television as a viable source of entertainment? ED ASNER: I’ve always loved cartoons –- I watched them when I was young, I still watch them now. And it is interesting to see how much more adult they’ve gotten in terms of content, from these super hero pieces with their violence and more adult themes to the truly mature, fully-developed stories developed in films like Up and Wall-E. Today’s animation goes places cartoons didn’t used to go.